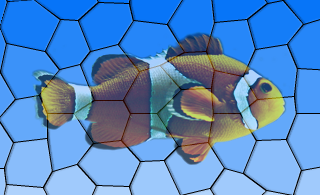 The QGraphicsOpacityEffect class provides an opacity effect. An opacity effect renders the source with an opacity. This effect is useful for making the source semi-transparent, similar to a fade-in/fade-out sequence. The opacity can be modified using the setOpacity() function. By default, the opacity is 0.7. See also QGraphicsDropShadowEffect, QGraphicsBlurEffect, and QGraphicsColorizeEffect. This property holds the opacity of the effect. The value should be in the range of 0.0 to 1.0, where 0.0 is fully transparent and 1.0 is fully opaque. This property holds the opacity mask of the effect. An opacity mask allows you apply opacity to portions of an element. There is no opacity mask by default. Constructs a new QGraphicsOpacityEffect instance. The parent parameter is passed to QGraphicsEffect's constructor. This signal is emitted whenever the effect's opacity changes. The opacity parameter holds the effect's new opacity. This signal is emitted whenever the effect's opacity mask changes. The mask parameter holds the effect's new opacity mask.